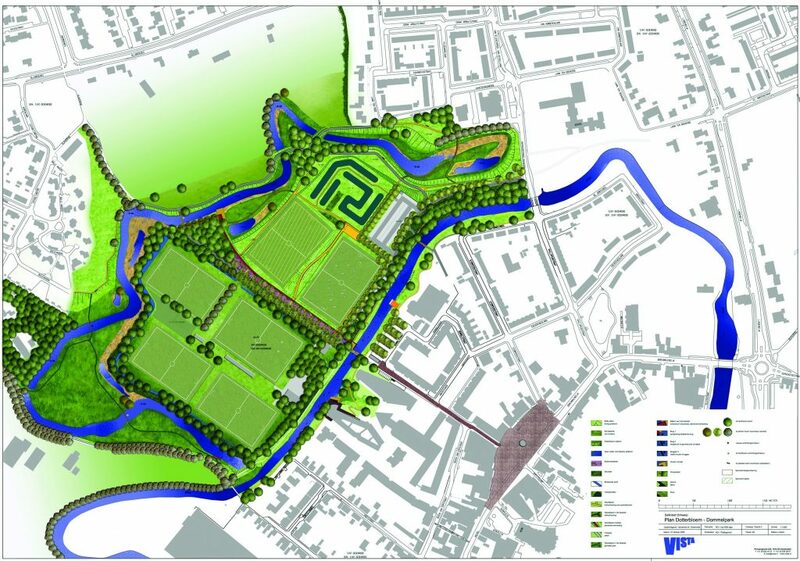 Plan Dotterbloem is a master plan for the ecological and recreational development of the Dommel river in Sint-Oedenrode. 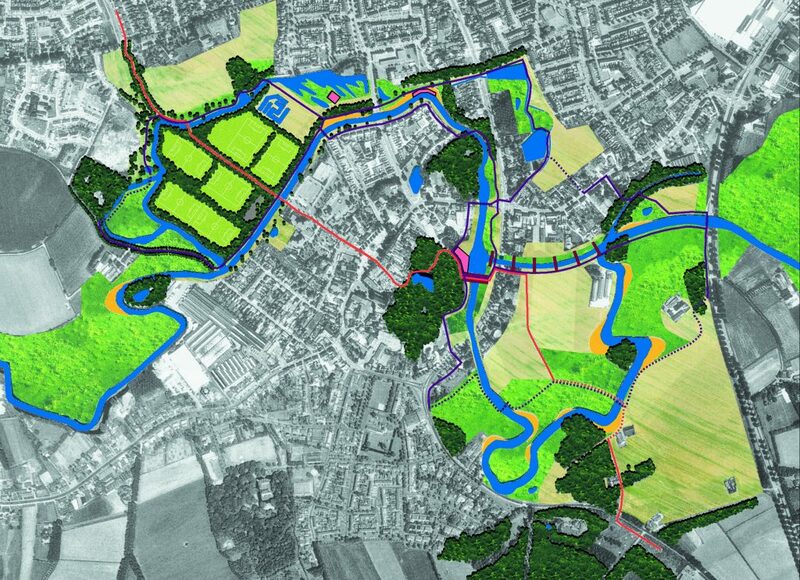 Vista transformed the stream valley from a messy backwater into the city’s green backbone. 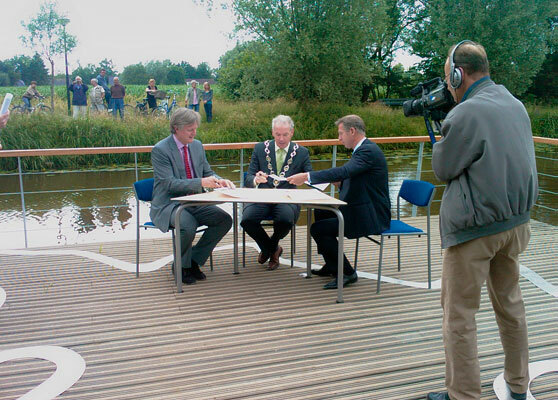 The master plan has now been largely implemented. 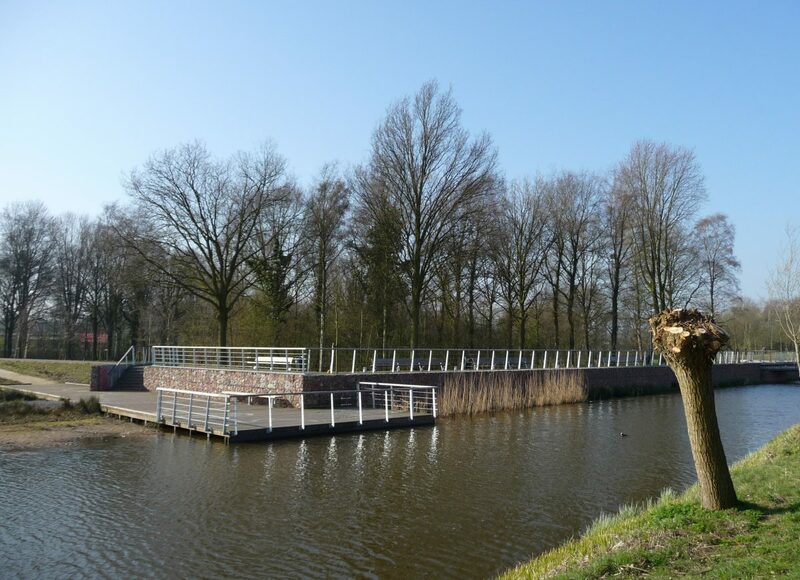 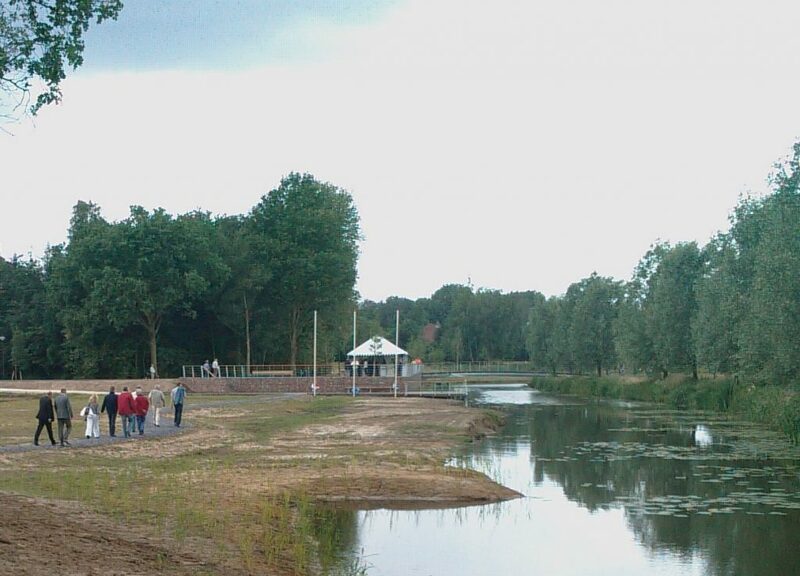 Old meanders are being rejoined with the stream, a fish pass has been built near the dam and in the heart of the village sits the Dommelpark. 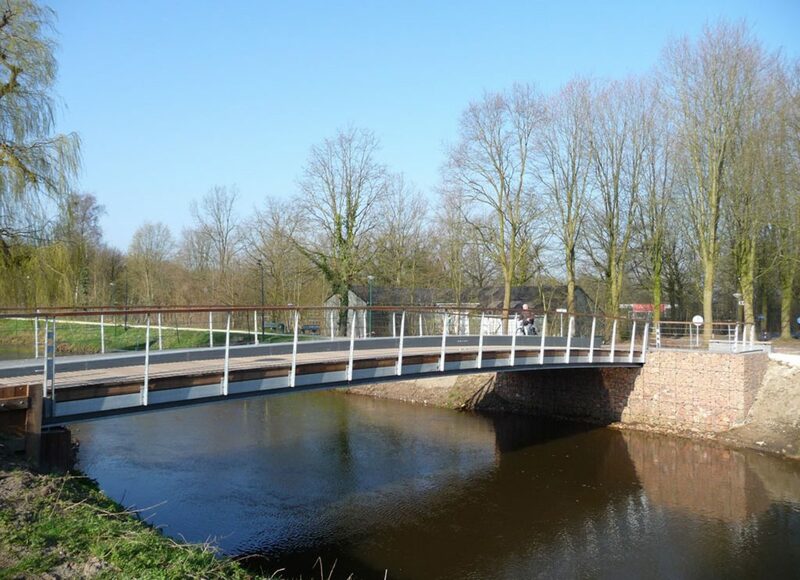 All of the aspects of the Dommel come together in a dynamic interplay in this park: nature and culture, history and the future, rest and vitality, land and water. 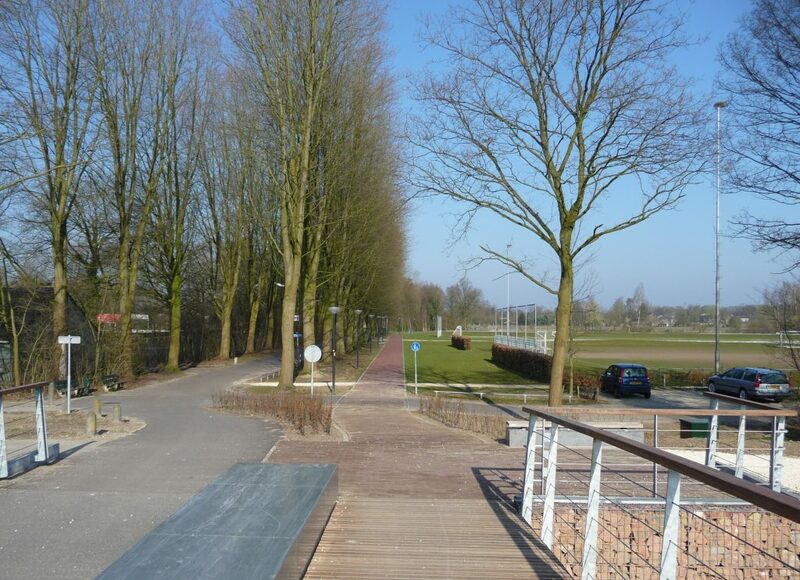 A central axis with a striking bridge connects the park with the village center.